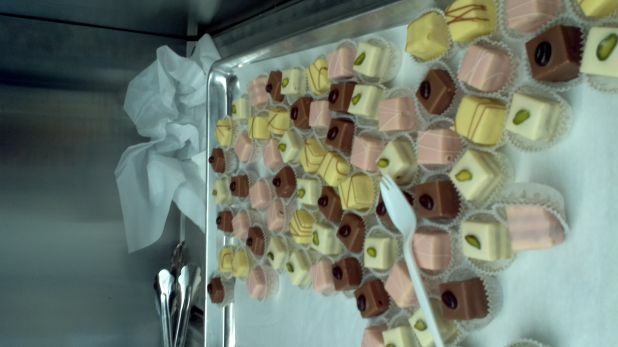 April 2011 | In recent years, gourmet food trucks have been all the rage in the U.S., serving up all kinds of high-end cuisine, ranging from Korean BBQ to upscale desserts, while using Twitter to let customers know where they will be parking on any given moment. Air France isn’t the first airline to tour Manhattan with a food truck. In June 2010, Austrian Airlines drove a ‘Café-to-Go’ truck around the steets of New York City for 10 days, serving free coffee to people passing by. Locations where the truck would show up were announced via Twitter. Vienna is known for its traditional coffee-houses and Austrian also features a ‘Viennese coffee house’ service onboard its flights. 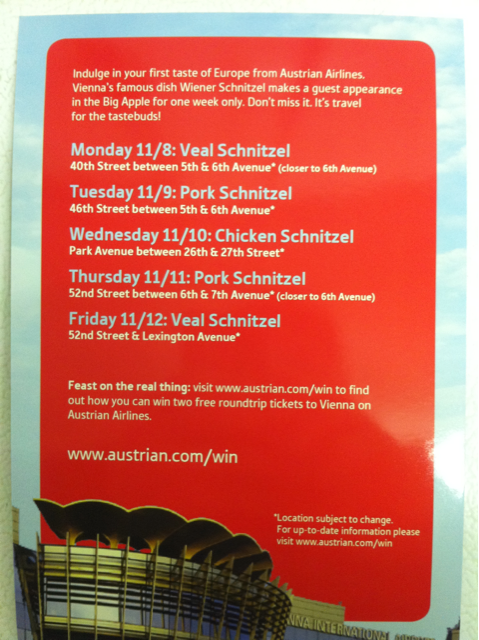 In November 2010, the airline held a similar campaign, teaming up with ‘The Schnitzel & Things Truck’ to give away variations of the national Austrian dish for a week. The deployment of food trucks by the likes of Air France and Austrian are part of a wider marketing trend. As people are bombarded with marketing messages, real-life interaction with products and brands (a.k.a. experiential marketing) has become increasingly valuable for airlines to get their message across. For example, Delta Air Lines has opened a series of ‘SKY360 lounges’ at sports venues as well as film and culinary festivals in the U.S. to let the general public experience its product. Southwest Airlines, meanwhile, has opened ‘porches’ in downtown New York and Denver.